What is your view of the quality of leadership in social housing? There was a number of views on this which is perhaps not surprising given the difference in size and complexity of organisations in the sector. One person said “It is poor, very poor” while another said “I have met some really inspirational chief executives who have ambition for their businesses and who are very much about growth”. One theme that emerged strongly is that housing organisations are too comfortable with a structural disincentive for leaders to take risks and put their job on the line while they are paid a big salary for making sure the rents are collected and repairs are done. The job of a CEO is clearly a very responsible one but the pay and reward structures in housing do not help. Part of the problem is that “.. we have neither impatient nor grumpy stakeholders” and that “Boards are non-professional, amateur and led by their executives”. The challenge to take risks and innovate has to start at the top and too often the non-executives focus on scrutinising what is done rather than promoting dynamism and innovation. Organisations that do pay their non-executives generally do not pay much when compared to the private sector though it is unclear whether paying significantly higher rates would raise the level of control they exercise. Northern Rock and Royal Bank of Scotland might suggest that it would not. In thinking about the CEO, the issue of the introverted leader came up. Many people believe that leaders need to be charismatic and that seems to largely mean extravert though that is being challenged in a number of quarters and again it really depends on what you want from your leader. Some organisations will prefer a Richard Branson to a Bill Gates but that does not make either one intrinsically more effective than the other. One CEO felt very strongly that introverts bring many necessary qualities to leadership and “The idea that you have to be this sort of charismatic and swashbuckling leader at the front to be a good leader is clearly nonsense”. One self-declared extravert CEO recognised that self-awareness is critical for a leader to be able to identify what they needed from others and values introversion enormously because it brings checks and balance to the team. One CEO pointed to the need for integrity, self-confidence and compassion in housing leaders. Being authentic and standing up for what you believe in is important if you want to take people with you sometimes that is not politically popular. Housing Associations in particular are in danger of losing their heart as they get bigger – “I think once chief execs get to a certain level everything seems to be about numbers like the staff are numbers, the tenants are numbers, homes are numbers. It removes the compassion and engagement, the empathy”. 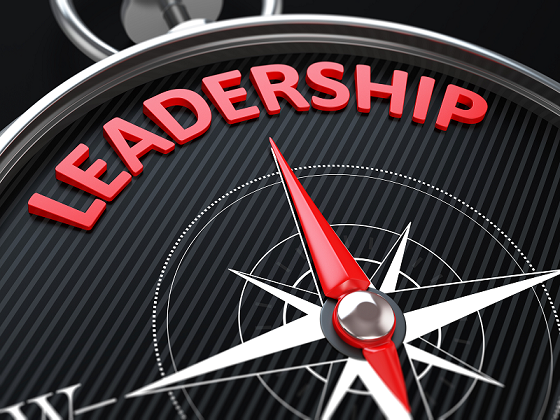 What are the key attributes/qualities that a leader needs? Honesty, Compassion, Integrity, Trust, Business Acumen, Courage, Humility, Energy, Good Decision Maker, Collaboration, Consistency, Focus, View to the Future, Good Listener, Clarity of Purpose, Cultural Alignment, Good Communicator, Authenticity. How do they match with your view of what is important? What have been the things that prepared you for being a leader? Learning from experience was something that all the interviewees identified as being important. That might be learning from seeing others doing it well and modelling them or from seeing it being done badly and working out what not to do. Experience in a range of roles requiring different skills and in different areas including the private sector was seen as being very important in picking up the understanding and skills that a leader needs. There was no consensus as to what type of experience would be the most beneficial though having been a board member was seen by two of the CEOs as being useful. Interestingly, training was not thought to have had a major impact on the development of the leaders. Most had received some sort of formal management and/or leadership training but there was not a strong sense that it had been formative in shaping their leadership style. It may be that they just did not recognise the impact that the training had on them but for most, it was clearly not memorable. All of the CEOs had at some point in their career received coaching and there was a strong sense that this had been useful. Coaching seems to be quite widespread in housing as a developmental support for senior leaders and some leaders lower down in the hierarchy but for most of the ‘lower ranks’ it is used as a performance management tool. There is an argument that it should be used more widely as a developmental tool for bringing on the leaders of the future. How do we develop the leaders of the future? The biggest single factor in the view of our CEOs was in creating an organisational culture which gives people the opportunity to challenge themselves, to gain a breadth experience, to take responsibility, to think, to learn, to achieve and to fulfil their potential. They saw this as one of their principal tasks and there was a belief that if you are able to do that, leaders will emerge. There is a caveat in that, “the extroverts demonstrate their leadership much more easily not because they’re better but it’s easier for them to demonstrate it. Whereas the introvert might be actually the better leader but he’s less noticeable so it’s only about being noticed really”. And so, “it’s important that you’re on the lookout for people that aren’t necessarily going to catch the eye who are doing potentially quite unsexy jobs but have clearly got something but not necessarily bragging about it”. These people may need a bit more nurturing and encouragement to bring them through the organisation. What advice would you give to an aspiring, young housing professional? It was apparent from talking to each of these CEOs, that they all had a very clear sense of purpose and what they wanted to achieve in their role. While the specifics varied, all were highly committed to making a real difference to their organisation, their staff and the people who live in their properties. Recent research suggests that having a clear sense of purpose is the defining factor in whether an organisation is successful. That suggests that these organisations are in good hands. Does your organisation have a clear sense of purpose? How good is your leadership? What are you doing to develop the next generation of leaders?